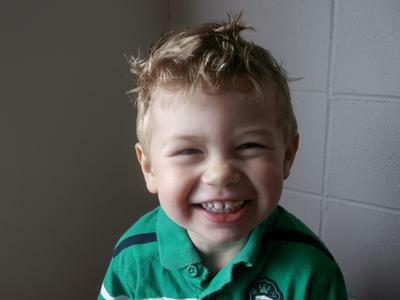 Parker is a happy, outgoing, busy two and a half year old. Likes: The moon, water, rocks, cookies and the kitty (in that order)Dislikes: Onions,wearing clothes, sleeping and the word "no". Kid's amazingly cute!!! That grin is something special!! Happy Boy!!!! !